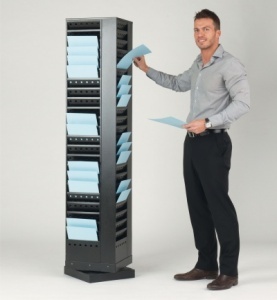 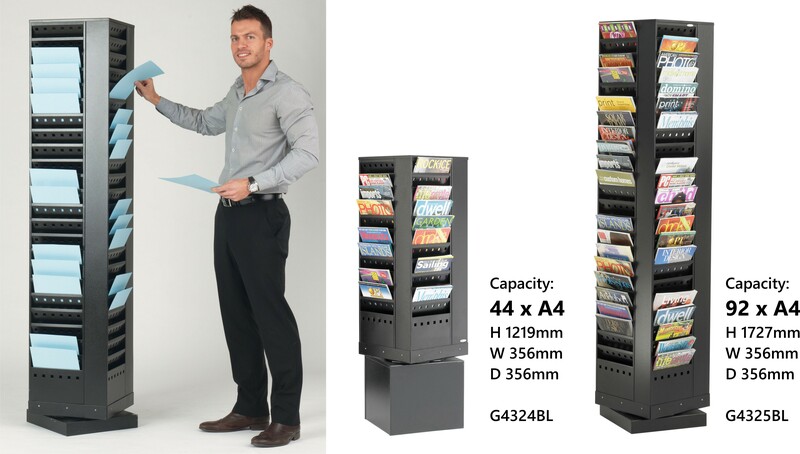 This sturdy design allows for a large amount of A4 literature to be displayed in either 44 or 92 seperate compartments. 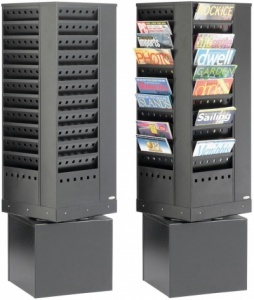 Each compartment holds 20mm of literature in each. 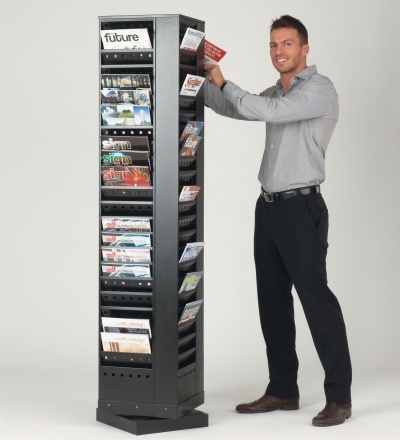 The unit rotates through 360 degrees to allow for easy access to all sides. 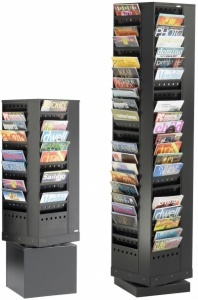 It is ideal for displaying brochures, magazines or works orders.